The best smartwatch to pull double duty for daily use and activity tracking is the Samsung Gear Sport. It’s built to take a beating or a plunge with 5ATM waterproofing, and has all of the necessary sensors and radios to make sure you can track everything. Samsung Health has gotten surprisingly good for following each workout but also long-term goals, and partnerships with bigger names like Under Armour and MapMyFitness mean you can also send all of your data to a different system if you need. One of the best features of the Gear Sport is that it doesn’t look that sporty. It can easily be worn every day with a variety of clothing and not stand out, which you can’t really say about most smartwatches that are aimed at fitness. The rotating bezel is fantastic, the screen is great and while the software is a tad clunky it’s super powerful. Battery life is surprisingly good as well, about 2-3 days depending on usage. Bottom line: The Gear Sport gets all of the typical smartwatch stuff handled, and is also a super-capable fitness tracker. One more thing: For the sportiest look and robust design, stick with one of the rubber bands rather than a nylon or leather one. Fitbit comes at smartwatches from the direction of its successful fitness band lineup. This makes the Ionic a perfect smartwatch for someone who really wants to focus on activity tracking first, and the other “smartwatch” stuff secondarily. Though it may be a bit big and blocky, the Fitbit Ionic has a bright display, GPS tracking, optical heart rate sensor, SpO2 sensor, 50-meter waterproofing and all of the other cool stuff like NFC and 2.5GB of storage space. It’s also rated at four days of battery life, which goes beyond the competition. Tons of people have trusted Fitbit with their fitness tracking of all kinds for years, and that’s really what you’re getting in the ~$300 Ionic. 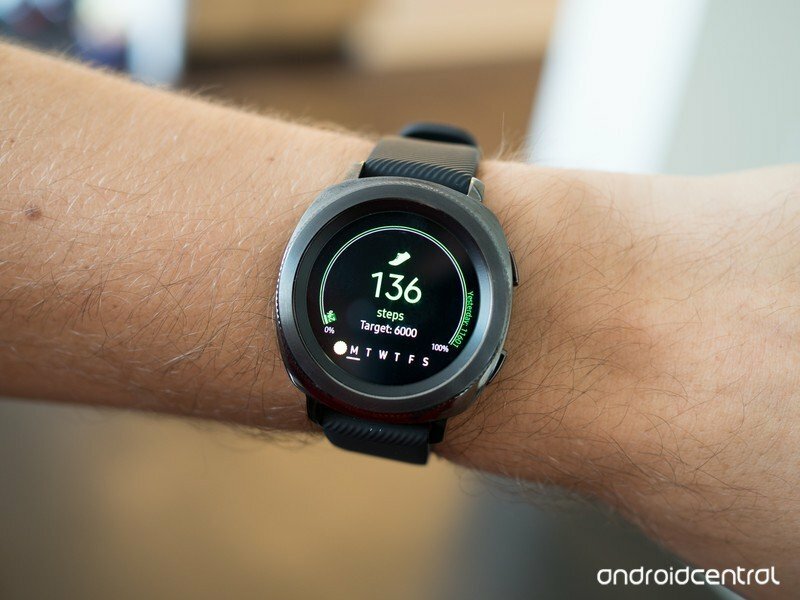 The smartwatch side of things isn’t as deeply integrated to your Android phone as an Wear OS or even Samsung watch is, but you can’t argue it’s just as good or better for fitness. Bottom line: If fitness is your primary goal, and you’ve had previous Fitbits, the Ionic should be at the top of your list. One more thing: The new Fitbit Versa offers a smaller case and better looks as a smartwatch, but doesn’t have GPS like the Ionic does. The Fitbit Ionic is clearly the best overall fitness device from the company, but for something a bit more balanced, the Versa is worth considering. Fitbit learned a lot from the Ionic, and the new Versa has a much smaller and better-designed case that looks more like a regular watch than a gadget. The unfortunate downside of the smaller, better-designed case is that it doesn’t have GPS like the Ionic does. 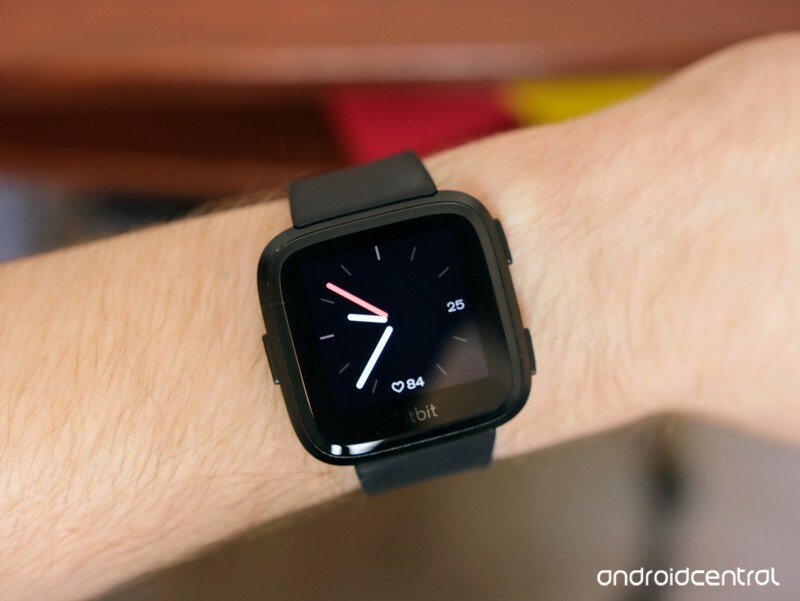 If you want to run, walk or bike and get precise tracking, the Ionic is still the pick. But anyone who does need GPS for their workouts should go with the Versa on account of its improvements over the Ionic in every other way. Bottom line: A great all-around smartwatch, but one without GPS making it a bad choice for runners and bikers. One more thing: Being the newest model, you can expect to pay full retail for the Versa for a while — Fitbit isn’t likely to kick on any sales for a bit. The Wear OS world (formerly Android Wear) is moving almost entirely to lifestyle and fashion brands, but there are a few relatively modern choices out there for fitness-focused needs. The Huawei Watch 2 Sport is the best of the bunch, on account of its lightweight and relatively rugged exterior that can take bumps and sweat with ease. The case isn’t going to win any design awards, and as a watch feels a bit cheap and flimsy. But it’s correspondingly inexpensive, hovering around $200, which is great if you’re on the fence about spending more money on a dual-purpose wrist computer. 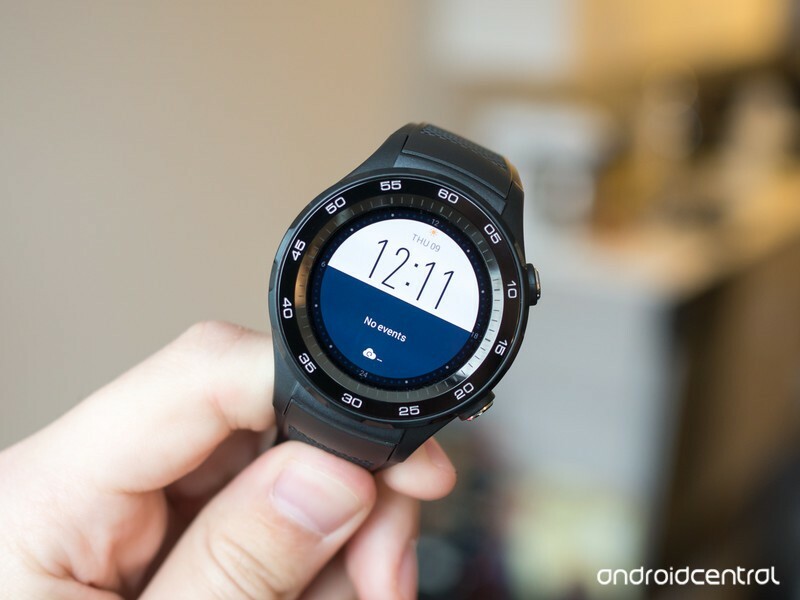 On the smartwatch side it’s all typical Wear OS fare, meaning it has perfect integration to your Android phone’s notifications and messaging system — plus with access to Google Play you have a good number of watch faces and app extensions to try out. It also has NFC for Google Pay. The fitness tracking isn’t nearly as good as Samsung or Fitbit offer, but that’s one of the trade-offs you’ll see by going with Wear OS to get a better daily smartwatch operating system with great integration to your phone. Bottom line: If you need to have Wear OS, the Watch 2 Sport offers it in a rugged case at an affordable price. One more thing: Keep an eye out for discounted, refurbished or open-box units, as the Watch 2 Sport is several months old now. For a smartwatch that pulls double duty as a daily watch but also a capable fitness tracker, the Samsung Gear Sport is a fantastic decision. Fitbit’s Ionic isn’t as great of a daily smartwatch, but has great fitness tracking you expect from the Fitbit brand. The Fitbit Versa is better in the smartwatch category, but lacks GPS which is an immediate downside for runners. If you must have Wear OS for great smartphone integration, check out the inexpensive Huawei Watch 2 Sport. Update June 2018: The Samsung Gear Sport is still our top choice, and the Fitbit Ionic continues to be a runner-up. 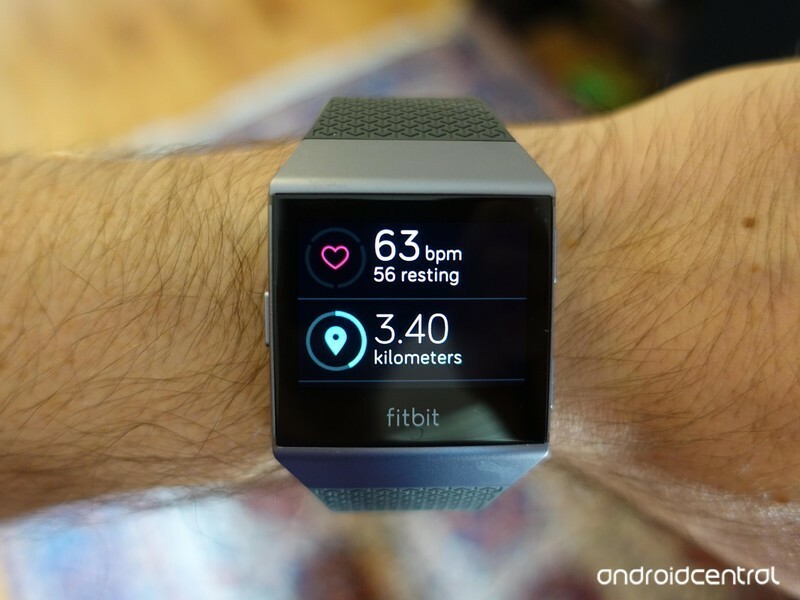 The Fitbit Versa has been added as an alternative choice for those who want something smaller and better-designed but are willing to give up GPS to get it. ← Spyro: Reignited Trilogy for PlayStation 4: Everything you need to know!